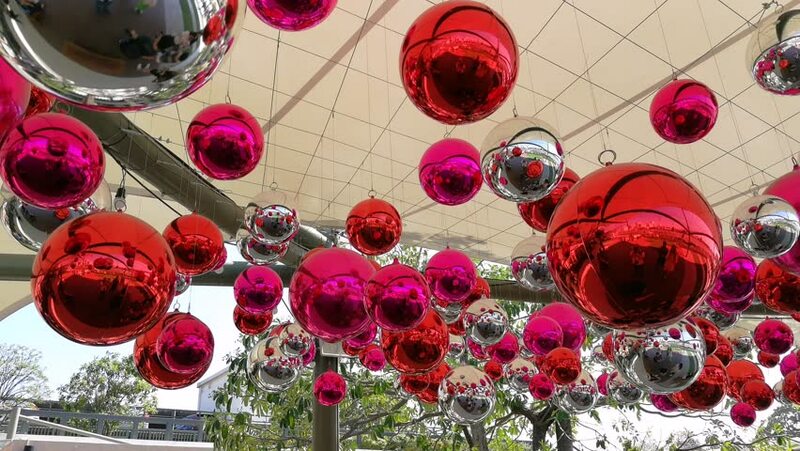 Red, silver and pink shiny chrismas ball hanging from a roof. hd00:09Christmas gifts under the Christmas tree. hd00:201920x1080 Rotating rose bouquet, zoom out.